But coming together to bridge your differences can strengthen a relationship, too. It’s just a matter of broaching the topic with empathy and the goal of reaching a middle ground. “Go into these conversations developing a sense of safety and try to really understand where your partner is coming from,” says Nicolle Osequeda, a marriage and family therapist in Chicago. 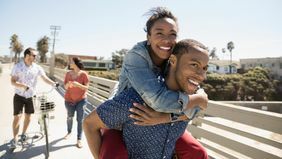 So if you’re ready to have a financial heart-to-heart, read on for expert tips on how to reach a compromise when you and your partner are money opposites. You like to squirrel away your money for a rainy day, but your partner’s paycheck disappears the instant it hits their bank account — sound familiar? Your money tendencies can often be traced back to your respective upbringings, explains Nikiya Spence, a psychotherapist and certified money coach in Lawrenceville, Georgia. “Money disagreements often run deep and stem from one’s personal experiences and the indirect or direct beliefs you were taught during childhood,” Spence says. 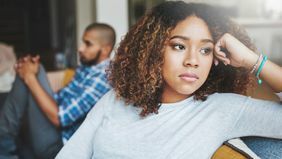 Someone who grew up in a financially unstable home, for example, might feel more anxious about holding onto their money than someone who grew up in an affluent household. To work through your differences, first determine what you can agree on, Spence says — things like paying household bills on time or setting aside a certain amount each month for joint savings. 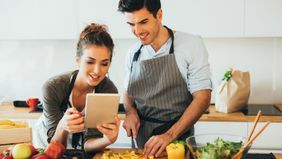 You could establish a shared account for household expenses, but then leave some leeway for the two of you to save or spend as you each see fit from your individual bank accounts without feeling bad about it. Remember: You’re in this together. When there’s a big difference between your salaries, money conversations can be fraught with tension. The person who earns less might feel bad about not contributing enough to the household income, while the person who earns more might feel the burden of being the breadwinner. But chalking up your value in a relationship based solely on earning power misses the bigger picture. Remember: You’re in this together. “There may be contributions that are not monetary but contribute to the overall good of the relationship,” Osequeda says. For instance, the partner who doesn’t earn as much may also be the primary caretaker for the kids or keeps the household running smoothly on a day-to-day basis. This is still work and a means of providing for the family, it’s just not paid out in dollars. Prorating that way might require a little more math, but it can be worth it to make sure the costs of your shared home and lifestyle don’t weigh more heavily on the person making less. There are few people who don’t come into a relationship carrying some type of debt. But it can become an issue if one of you carries balances while the other avoids them at all costs. What’s important is approaching the subject judgment-free. Focus your time instead on a payoff plan and, if necessary, fixing what caused the debt to begin with. If it was a result of overspending, for instance, then it may be time to revisit your budget and get a handle on any unproductive shopping habits. If it was a result of having to cover unexpected expenses, then it may be time to beef up your emergency fund. When it comes to tackling debt, it’s a good idea for the both of you to talk it through with your financial advisor as well. 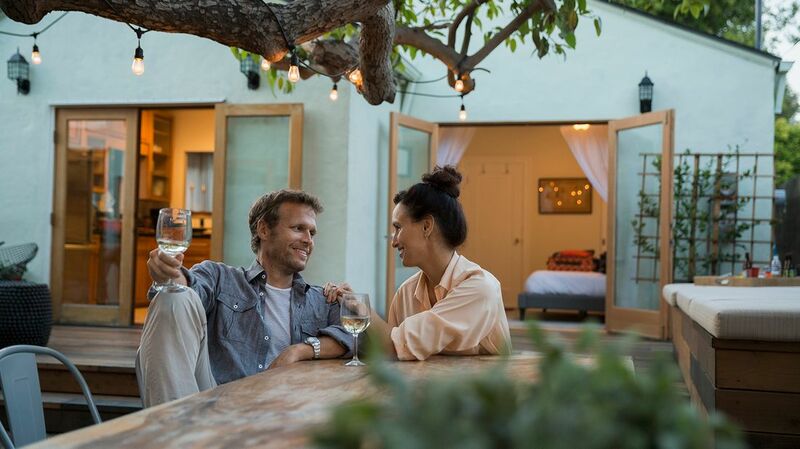 They can help you come up with a plan for how to pay down that debt strategically, and how to keep paying it off while still balancing other fun goals you have together, like going on an anniversary trip or saving up for a new home. It might seem natural to let one person take complete charge of the finances if they’ve always had that role or are “good at it.” The problem? That means there’s one person who’s left in the dark — and that’s not a great place to be. But you don’t have to let that dynamic define your relationship. If you’re planning to get married, Bahar suggests getting ahead of the issue by attending premarital counseling to talk about how you’ll manage money together. Even if marriage isn’t in your plans but you’ve been together for a while, it’s worth addressing the issue head-on. If you and your partner feel stuck, consider talking to a couples’ therapist or a counselor who specializes in financial therapy. Talking to your advisor can also help you work through different ways you could share financial responsibilities, and what that might mean for your bigger picture financial plan.